If you told me you saw a Pixar movie and didn’t cry, I would say you were a filthy liar. Ever since the release of Toy Story in 1995, the production company has consistently struck an emotional chord with viewers of all ages. 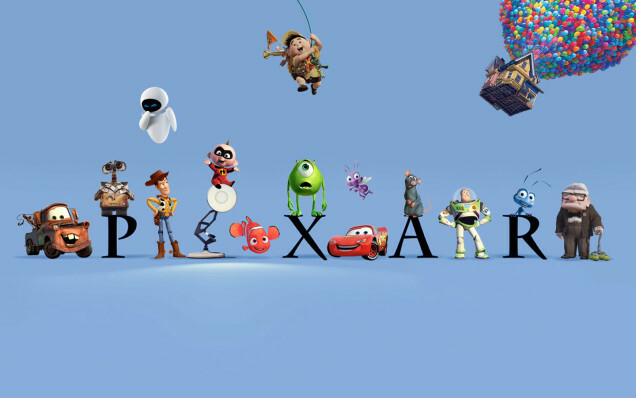 Why has Pixar been so successful? Because its team of artists and writers have mastered the art of incredible storytelling. 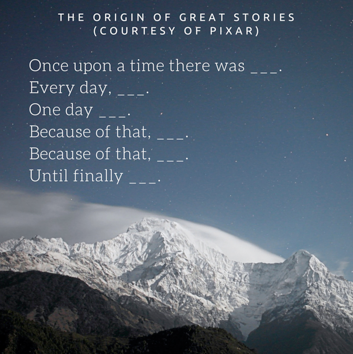 During a recent MarketingProfs webinar, called: Discover and Tell Your Business Story, business storyteller Ron Ploof revealed some strategies straight from the Pixar team. Yes, it’s really that easy. By following these guidelines, you can build the foundation for a strong brand story. Better yet: You can apply this formula for all content, creating a consistent and sustainable content strategy. If you want to learn more about Coats’ time at Pixar and what she learned during her tenure, visit her Tumblr blog. There’s one specific piece she developed that focused on 22 “storybasics” she learned while at Pixar. It’s a powerful and easy piece to browse through, and can offer you some inspiration to refine your storytelling strategies. For example, one of her tips is “Simplify. Focus. Combine characters. Hop over detours. You’ll feel like you’re losing valuable stuff but it sets you free.” We at Content4Demand live by this mantra. Sometimes content loses impact if you pack in too many words or flourishes. You’re better off getting straight to the point and hitting readers more directly. Ploof also noted that great stories have heroes or starring characters that you root for and are emotionally invested in. Think about how you felt watching Marlin and Dory venture through the ocean and a series of dangerous obstacles to find Nemo, or when Woody and Buzz Lightyear were trying to find their way back home. Or think about the first time you watched Inside Out and saw inside the heart, mind and body of a little girl that very well could be someone you know. All Pixar characters are relatable. In some way, you connect with them, which makes you emotionally invested in their story and wellbeing. So why can’t you feel the same about your buyers and their story? Heart and empathy are the cornerstones of great content and storytelling, according to Ploof. You need to ask: Who is my hero and what is his/her journey? Your products and services are only minor characters in the plot and customer journey. Once you identify your hero and the end result you want to share, you can build your story up from there. Best of luck as you venture on your storytelling journey. And if you need some inspiration, grab some popcorn and have a date with your Pixar film of choice. Alicia Fiorletta is a Content Strategist for Content4Demand. In addition to writing for and managing the C4D blog, she helps clients identify new content marketing ideas and experiment with innovative formats. Fiorletta is a fan of all things digital and interactive, and uses the art of ideation to help clients see the content marketing possibilities. 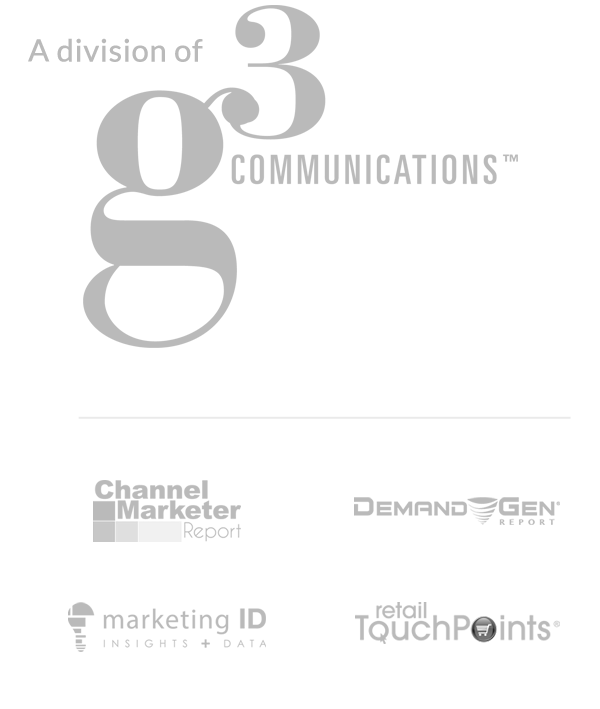 She also helps G3 Communications’ family of brands plan and execute killer events and ramp up their cross-channel marketing results. When she’s not dwelling over all things branding, messaging and content strategy, she’s spending quality time with her nieces and nephews, binging on Netflix or eating guacamole.